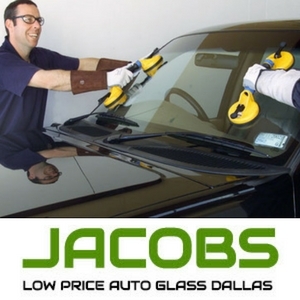 Jacobs Low Price Auto Glass Dallas, has one of the largest in shop inventories of auto glass. This is beneficial for our walk in customers, as well of those that are just in need of quick repairs. We understand that there is never a convenient time to have your windshield or car windows broken or damaged. It is our goal to help you get them fixed quickly, professionally, and at a reasonable cost. We work with all major insurance companies as well, for those that have their glass covered by insurance. However, in many cases, we are able to do the repairs for less than the cost of your deductible. Will My Windshield Look the Same? Unless you have put on an aftermarket tint, your glass will look exactly the same. We make sure that the tint and shade are the same as the factory installation. If there are factory electronics, such as heated windshields, or built in antennas, you can be sure that the replacement will have those as well! When it comes to the auto glass Dallas market, we strive every day to be number 1! If you need your windshield replaced, call Jacob’s Low Price Auto Glass. Jacob’s strives to stay #1 in auto glass replacement in Dallas for quality, convenience, and cost. There’s never a “good” time for auto glass damage to occur, and then it seems impossible to make the time to get your car or truck into the shop. But don’t risk your safety and those of your loved ones by driving around Dallas with a cracked or poorly installed windshield. A damaged windshield is much more of hazard than simply obscuring your view or becoming a distraction. Airbags are designed to deflect off the windshield. If that auto glass fails, or pops out due to improper installation, you loose that vital protection. Furthermore an intact windshield is an important part of you car’s structure, typically providing around half of the support strength in a rollover accident. In many cases, such as the following, insurance companies insist on replacing a windshield rather than repairing it. You should replace your windshield if it has any of the following. Even for-profit insurance companies recognize that it’s worth spending the money now to avoid the risk of future damage and injury. Jacob’s is located south of downtown Dallas, and takes pride in providing the best quality replacements at the best prices. We guarantee your satisfaction. For the very best in service, just call us for an appointment. We also welcome walk-ins. With our huge in-shop inventory of top-quality auto glass it’s likely we’ll already have the front or rear windshield you need. This means that we can often provide same-day replacement. For extra convenience and to save you time we can come to you, whether that’s at home or while you’re at work. That also saves you the hassle of arranging drop-off and pick-up. Your vehicle will receive the same quality materials and workmanship as in our shop. Quick curing adhesives and sealants mean that your vehicle will be ready to drive about an hour after we’re done. In business since 2000, we’re known throughout the Dallas metro for our fast, professional, and competitively priced services. Over those years we’ve worked with just about every make and model vehicle. We’ll match the factory tint and shade (although not after market tinting) with your other auto glass so that everything looks right. Your new windshield will have whatever antennas and defogger / defroster your old one did, and we’ll make sure that they’re connected and working properly. We work with all major insurance companies to help our customer’s claims proceed smoothly. Jacob’s provides a 100% satisfaction guarantee on our workmanship and a lifetime warranty against water and air leakage.